Congratulations! You’ve got the job offer, and now you have to send an acceptance letter to your new employer. 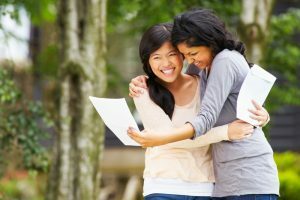 An acceptance letter is the most professional way to accept a job offer which will demonstrate that you understand the details of your new position, as well as the benefits that come with it. Of course, it is also a great way to share your gratitude for their decision to hire you and express your excitement to have this new position. If sending an actual printed letter through the mail, be sure to format it to meet standard business letter guidelines. Make sure you have your current contact information included, onboarding paperwork, and previous emails to your new employer. As mentioned above, be sure to keep it short and only cover the most pertinent details. Keeping its length to a page or less will help you stay concise and to the point; employers are very busy people. Be thankful and show it when you write this letter. You could also add on a small explanation of your enthusiasm at the same time. Perhaps you could explain how excited you are to meet your new team members and begin collaborating on upcoming projects. And of course, double and triple check your spelling and grammar in this letter. You don’t want to accidentally cause an employer to begin to doubt your abilities before you’ve even begun your first day on the job. See below for a helpful example of a physical acceptance letter, and also an emailed one. I wish to inform you that I accept your offer for the position of (the title of the position) in the (location) office. It is my intention to start work with your organization on or before (start date). This date may vary depending on my current employer’s acceptance of my two-week notice. I am truly excited about my future with XYZ Insurance Company and have a great desire to make a significant contribution towards the long-term success of the organization. If you are unsure if your acceptance letter is what it should be, or if you are in the market for a career change in the insurance industry, contact us at JL Nixon Consulting today. We offer insurance career consulting services and have over 30 years of experience in the industry. Contact us today at (210) 649-1500 or via the web here.